To me the 4 biggest things are (1) availability when we have a need (2) community connection-friendly (3) quality emergency service (4) Diamond Club. Terry H.
We’re finally enjoying nicer weather in Frederick County, which means it’s a good time to plant flowers and let the kids play in the sprinkler on warm days. It’s also a good time to make sure your yard and home can handle spring storms. Go through this checklist to make sure you won’t have any plumbing problems this season. Go around the outside of your home and check hoses, spigots and sprinklers for rust, corrosion or leaks. If you see anything that needs to be addressed by a plumber, give us a call. If there are really wet spots in the yard and it hasn’t been raining, water could be leaking from buried water pipes. You should consult your city water utility worker or a licensed Putman plumber to assess the situation since it’s never good to dig without a professional assessment. We can run video cameras through your water or sewer pipes to inspect them for cracks or breaks in the water line. You should always inspect and clean sprinkler heads at the beginning of the season. 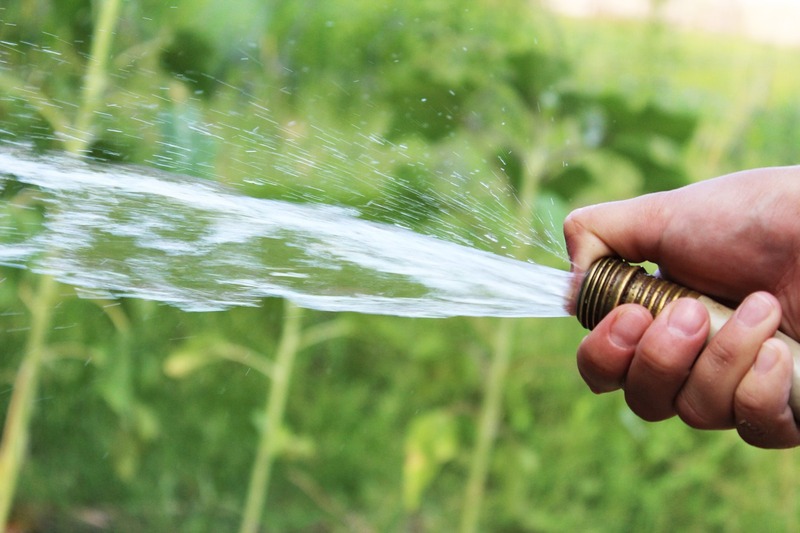 Sprinklers can be a big water waster since they spring leaks underground and can drive your water bill up. They can also cause too much water to run into the foundation or into the home itself. If you find any that are broken, rusted or damaged, remove the head and replace it. Clean gutters play an important role in keeping water away from your home’s foundation. When spring and summer rains begin, the water has to be able to flow through gutters and down downspouts without getting caught up in leaves and twigs. Most people need a sump pump if any part of the home is below ground level. To avoid a flooded basement, check to make sure your sump pump is on, then pour a bucket of water into it. The pump should turn on and begin to process the water, but you can shut it off and remove the water once you’re sure it’s working properly. If you notice your sump pump doesn’t sound like it’s working, is cycling constantly or makes strange sounds, give us a call. Enjoy the Nice Weather, and if You Need Plumbing Help, Call Putman! Hopefully everything is working well and you’ll be ready for spring storms and excited kids who like to play in the hose. If you have any trouble or suspect any problems, give us a call.